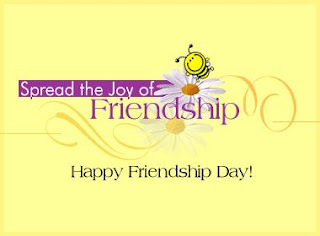 August 3 is International Friendship Day for 2008, a time to recognize your friends and their contribution in your life. Give thousand chances to ur enemy to become ur friend, But don't give a single chance to ur friend to become ur enemy"
YOU ARE MY FRIEND AND I AM HONORED ........! !